What is this, much dollars? One dollar, hundred dollars, million dollars! In movies you can see that a million can simply fit in one case. In fact,there is nothing fantastic about it, it really can fit in there, if the bills are tightly packed. 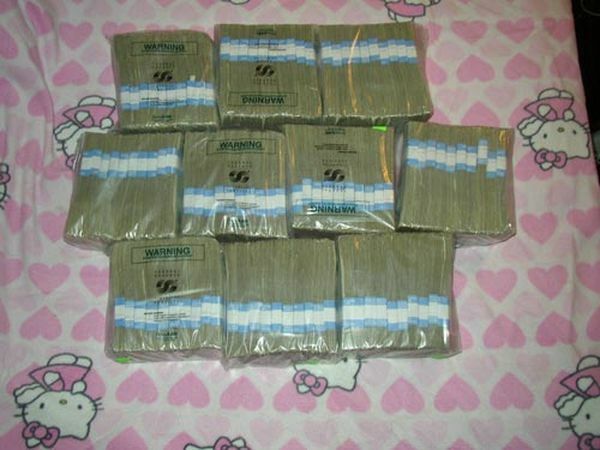 A young couple changed $10 000 in $1 bills and tried to hide a million dollars. In width $1 and $100 are alike, so the experiment can be called absolutely realistic. 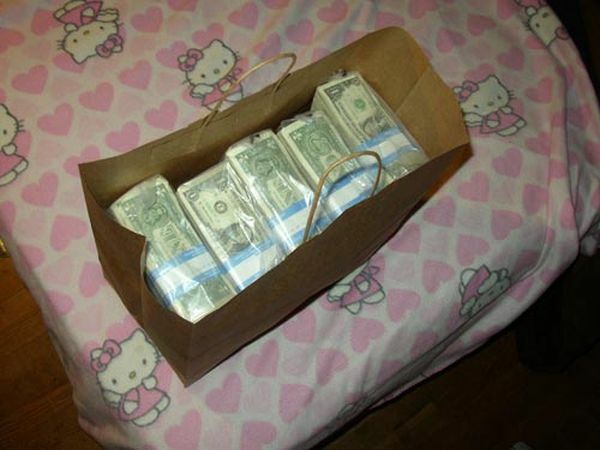 In each bag there are 1000 bills so it equals to $100 000. 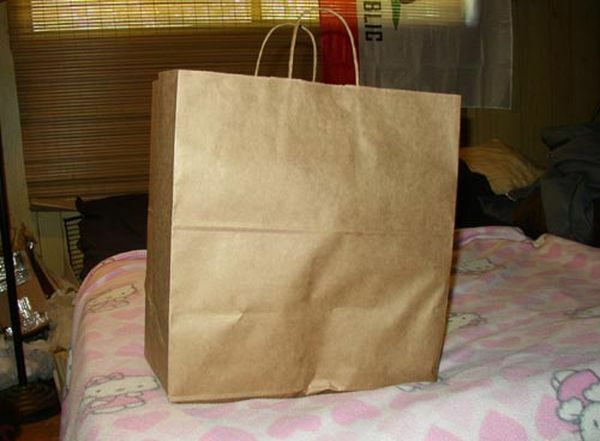 A plastic bag from a supermarket can hardly hold $800 000, but you should not try to lift it. If $1 000 000 is paid in $5 and $10 bills, a pile would be 10-20 times bigger. They fit on the shelf with DVDs. 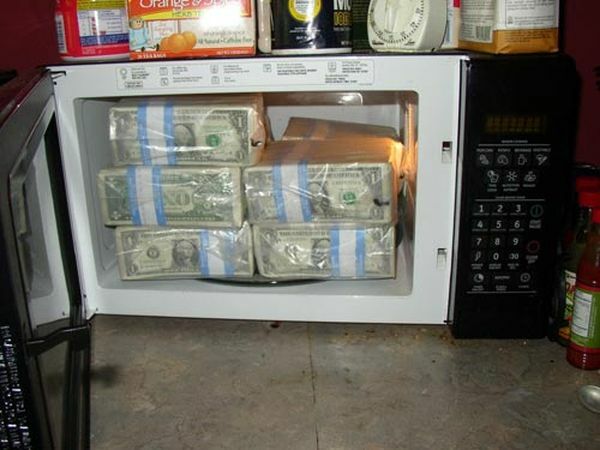 You can put it in a microwave oven. 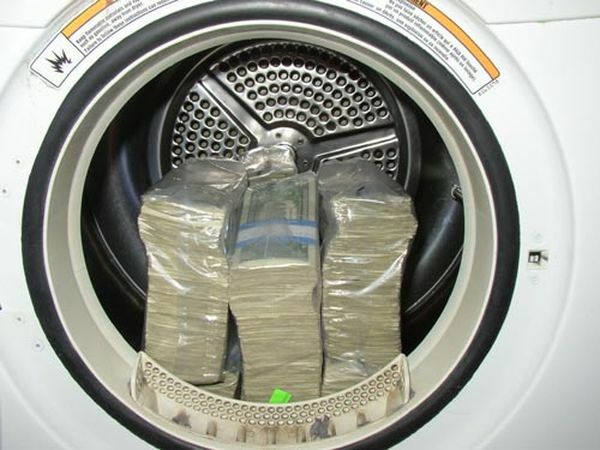 A washing machine can hold $2,5 millions for sure. 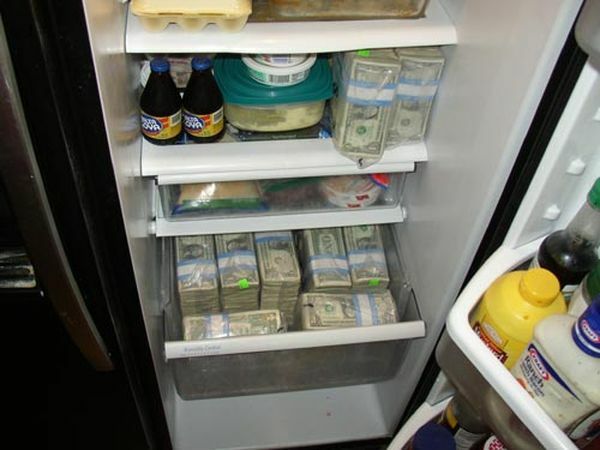 And a fridge can hold all $5 000 000 000. The question “What is a ‘dollar’?” may seem trivial. And even fewer know why a correct definition is vital to their continued economic and political well-being. If you want to make and keep money, you need to know how people have done it and are likely to do it in the future. Learn basic macro and microeconomics, accounting, personal and corporate finance, management, etc. Also pick up behavioral finance and psychology, mostly to learn how humans sabotage themselves. Study millionaires and billionaires, and understand how they made their money. But beware of survivorship bias: what percentage actually succeed on those paths? In general, beware of confirmation bias: if you only like hearing what confirms your beliefs, you’re digging yourself a hole. Always be on the lookout for evidence that you’re wrong, then analyze the heck out of it. Read the Economist and other reputed economics/business periodicals: most Americans’ understanding of how the world works doesn’t hold up under scrutiny. If you have a favorite or a sole news source, you’re giving in to confirmation bias and are probably a drone of a political party (doesn’t matter which: none will make you smarter or wealthier). You need to break that habit. 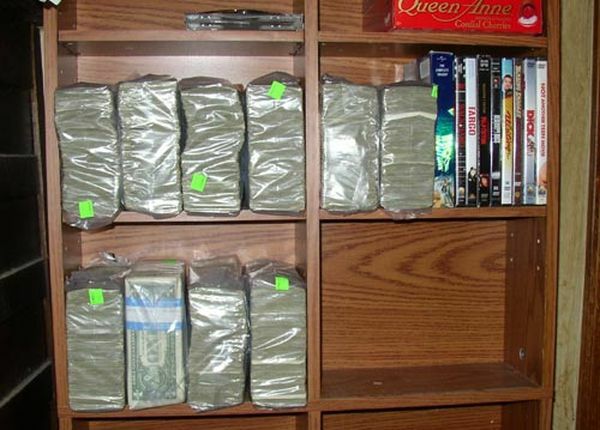 From the images you can see it would be hard to hide 1 bag ($100,000) let alone $1 mil. This is why govt. 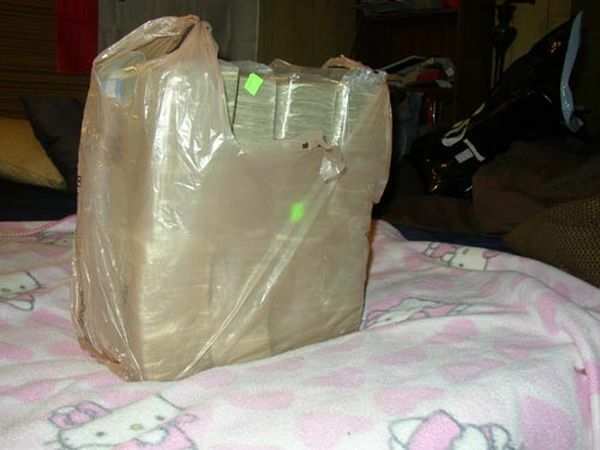 removed $1000 bills from circulation – you’d only need to hide 1 bag or 1 strap for $100K. With large numbers it becomes important for both volume and weight.